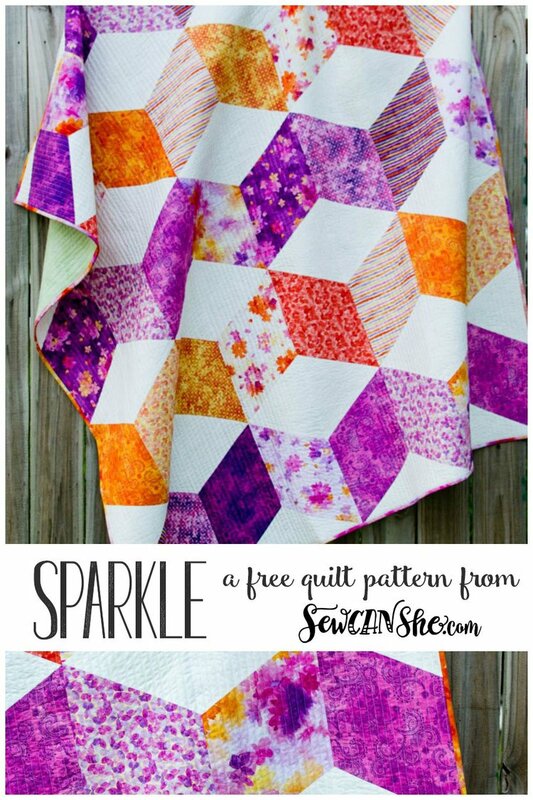 "Who is in the mood for a gorgeous new quilt??? Evidently, my daughter Chloe was. She snatched this one up and put it on her bed as soon as it was done, lol. 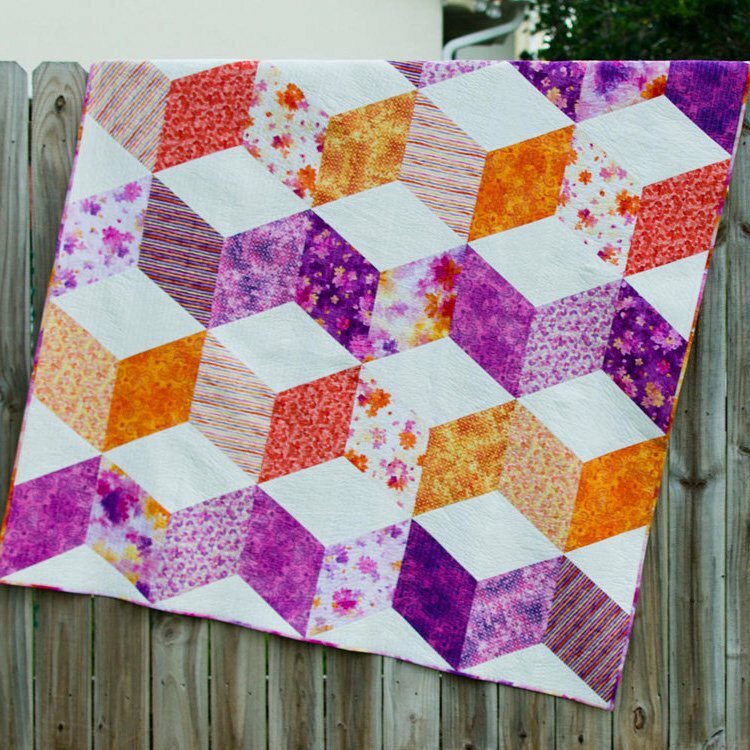 "It's not exactly bed sized, but at approximately 72'' x 66'', it's a generous throw quilt. I used the gorgeous Soiree fabric collection from QT Fabrics and it turned out perfect for spring!"